Is Bitcoin Rising Or Is Fiat Falling? With Bitcoin prices advancing by more than $3,000 USD in the last 36 hours, it is time to put our frame of analysis in perspective. From mainstream media to cryptocurrency blogs and news outlets, most analysts and reporters cover the rise in Bitcoin prices. This is an inherently fiat-centered point of view. Bitcoin is built as an alternative to the traditional system, with a deflationary economic structure, based on a transparent money supply system regulated by code. This means that we might need to start considering its success as the failure of the traditional financial system, in which money supply is uncapped and it is managed by certain actors with special interests in mind, to prop up certain economic sectors at given times. Therefore, we might say that fiat prices are falling, instead of saying Bitcoin is rising. To support this claim, it is necessary to look at the nature of the Bitcoin economy and what has pushed fiat prices down in terms of Bitcoin. Establishing the shortfalls of the traditional economic system, is not enough to support the claim that fiat currencies are falling. After all, the economies denominated in these currencies have shown they can grow and create wealth, despite their shortcomings. The kind of evidence needed to support the claim that fiat prices are falling in terms of Bitcoin, would have to prove that the system is indeed a viable alternative, preferred by a critical mass of people or that at least it provides a hedge against the shortfalls of the traditional economy. At this point in time, the strongest piece of evidence that nudges us to flip the way we view Bitcoin in terms of fiat, comes from its increasing grassroots popularity. Just a few days before CBOE Bitcoin futures trading begins, prices have topped $16,000 USD. Up until this point, the demand driving prices up came from smaller investors and Bitcoin users. It didn’t come from pension funds; other institutional investors are not flocking into Bitcoin either – although some have entered the game already. The price of fiat in terms of Bitcoin was driven down by millions of ordinary people around the globe, willing to buy into an alternative system. Futures trading could upset this trend, with institutional investors flexing their muscles in classical speculative fashion. Nevertheless, Bitcoin would not be in their radars at all if Main Street didn’t lift it up to where it is now. 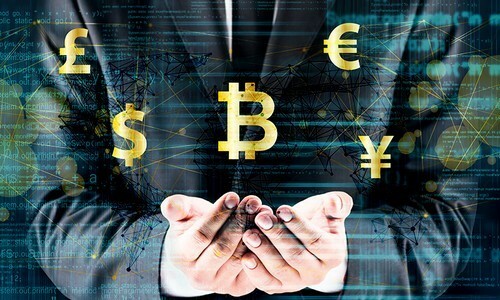 Therefore, as fiat currency prices continue to decline in terms of Bitcoin, and futures trading is set to kick in over the next few days, we should be framing the message differently. Maybe that way we can signal to Wall Street that it doesn’t matter how much they short those futures – if the shorts indeed flood the market – coin holders still make the market, and they should view fiat money as an inflationary asset-class that tends to decline. Bitcoin holders of the world should consider that angle. As much as anyone can claim that Bitcoin prices are rising, it is perfectly reasonable to claim that fiat prices are falling instead. At press time, the USD was trading at about 0.0006BTC. Analyst at Bitcoin Chaser. I enjoy travelling to remote places, camping and being in contact with nature whenever I’m not following the latest on the Bitcoin revolution!